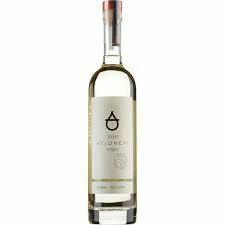 Tsilili Agioneri Tsipouro is aged in oak barrels for an average of 12 months, yielding a bright color with gold hues. The aroma is clean, and bright with floral citrus characteristics, and herbs (eucaplyptus) with a background of sweet spices (nutmeg, and clove). On the palate it is velvety and balanced with a medium intensity, while expressing flavors of dried fruit, herbs and spices.